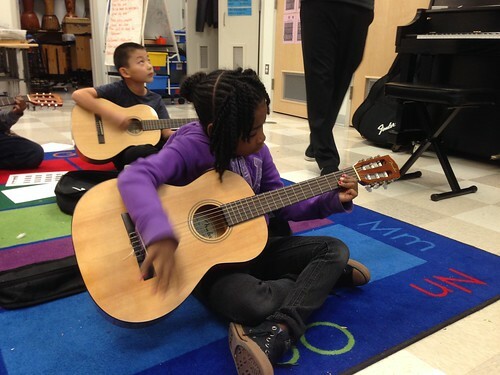 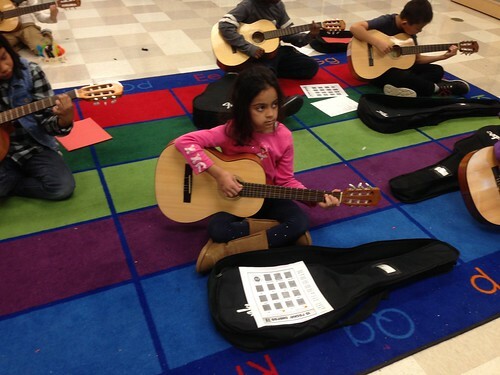 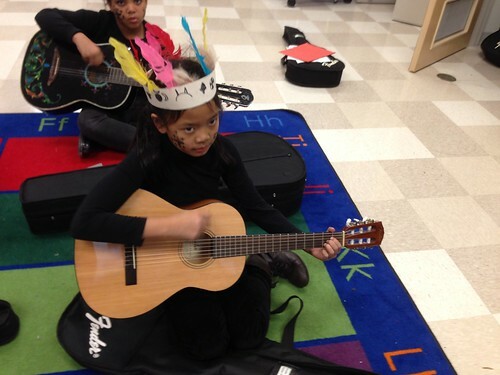 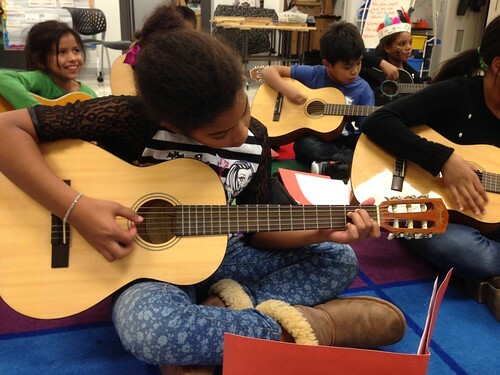 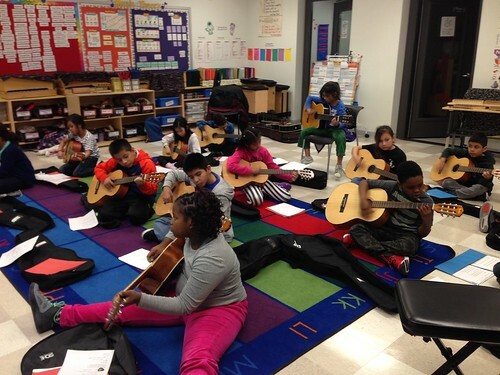 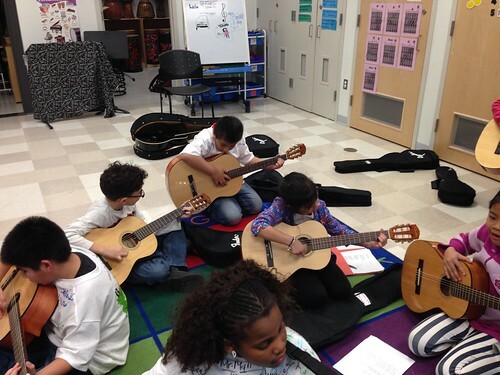 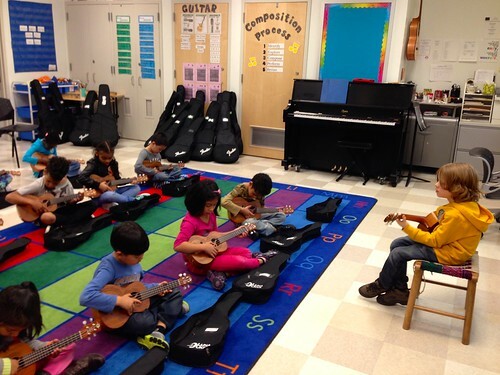 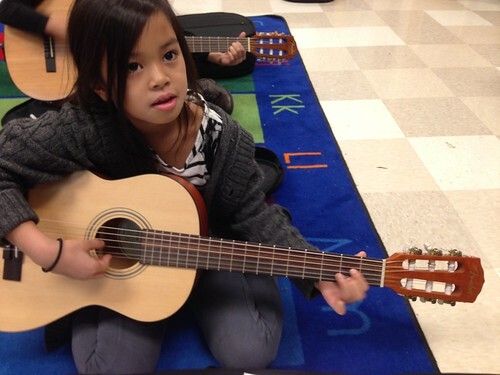 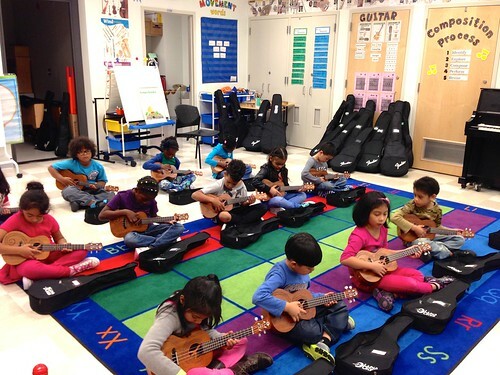 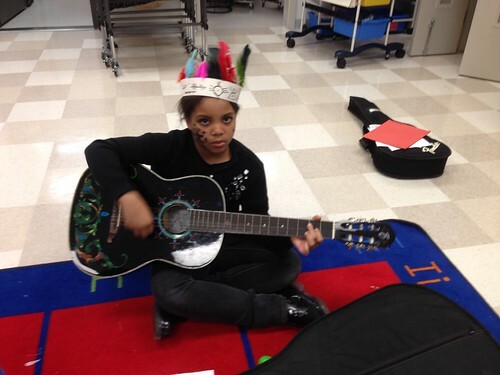 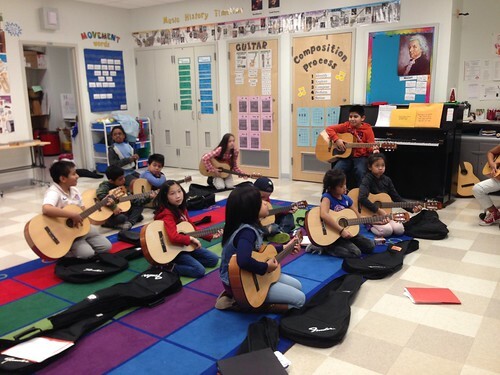 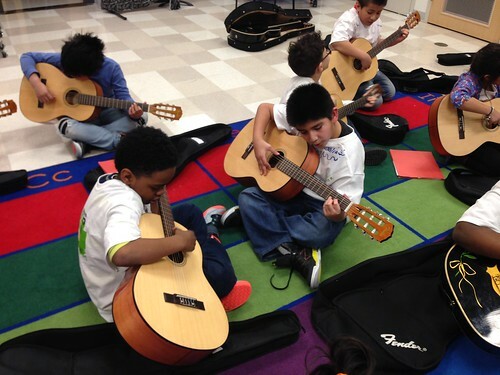 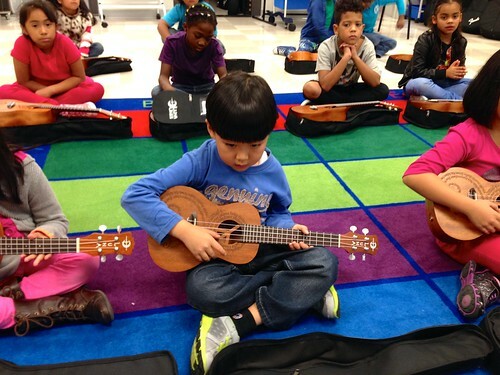 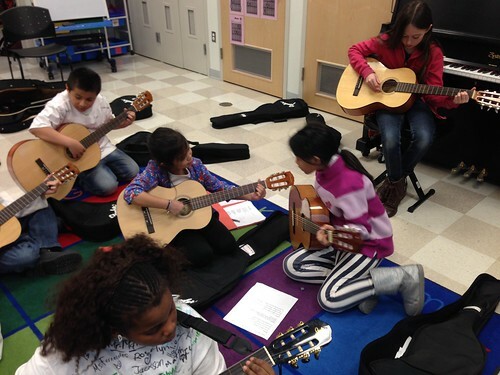 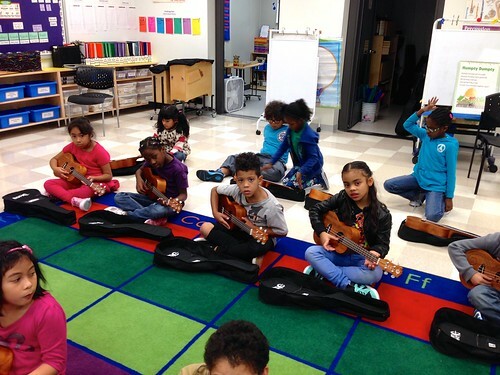 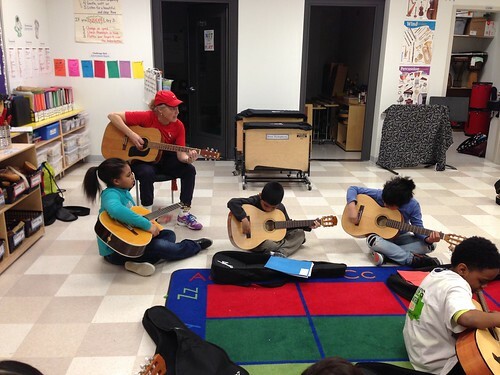 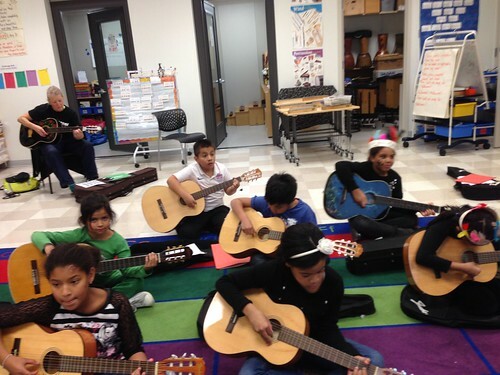 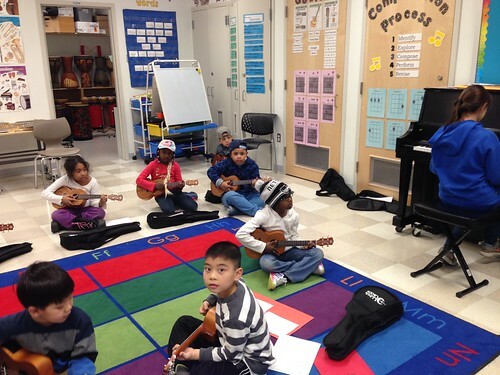 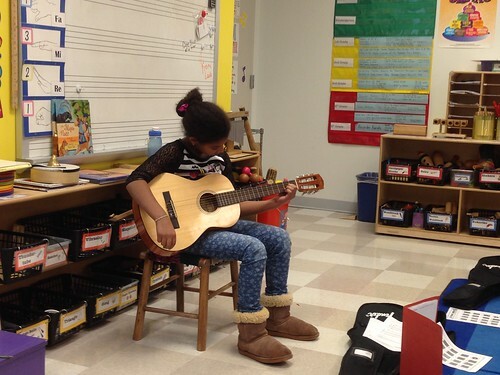 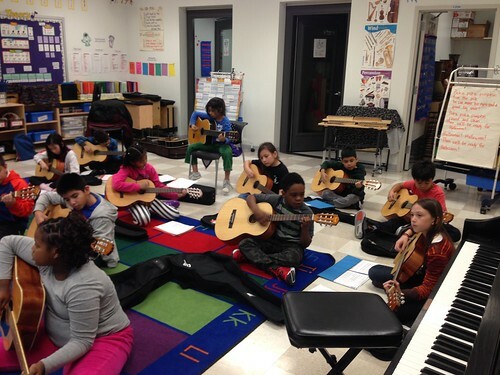 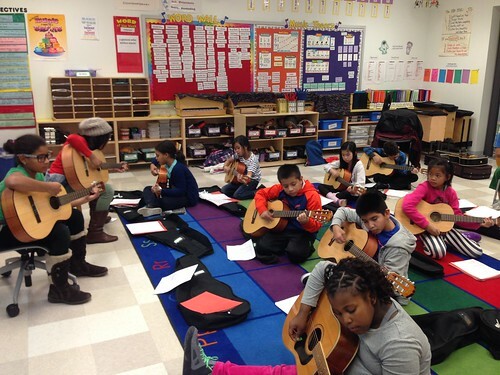 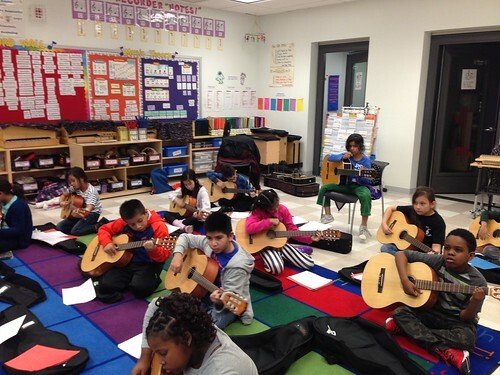 Our Beginning Guitar Class is part of the modern band movement sweeping the nation led by the Little Kids Rock company. 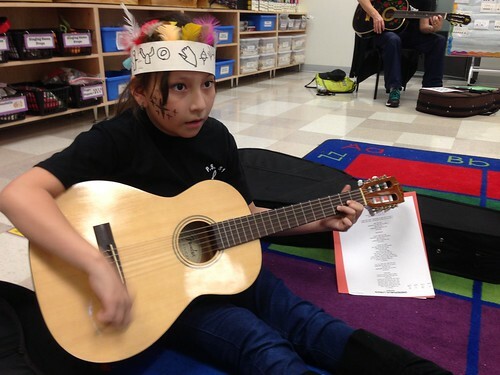 Any student in grades 3-5 who is enrolled in Abundant Waters can join! 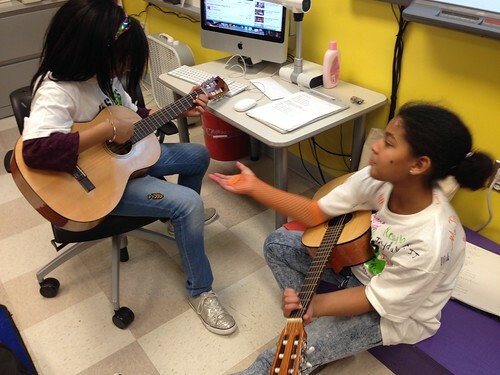 We meet on Tuesdays from 4:30-5:15 pm. 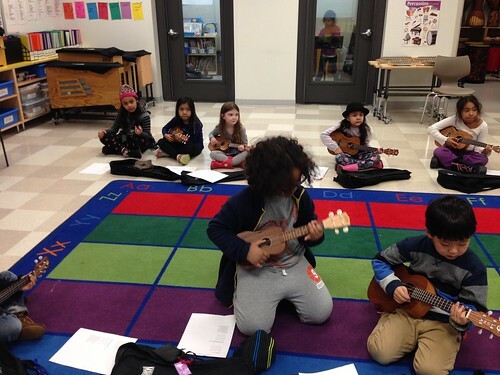 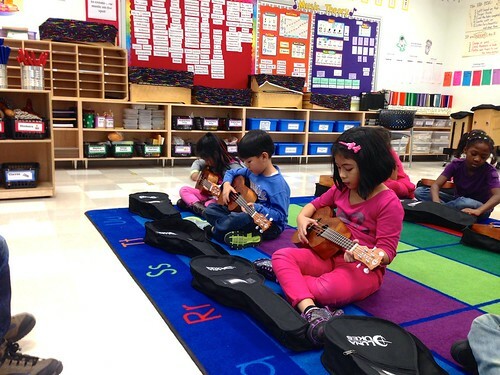 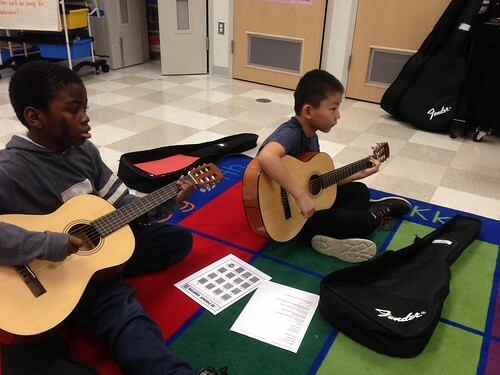 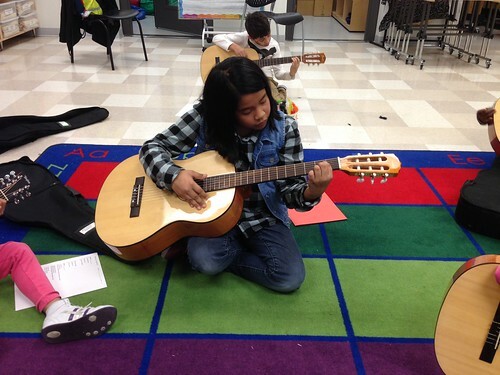 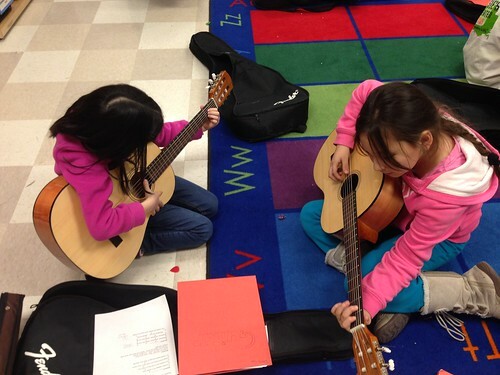 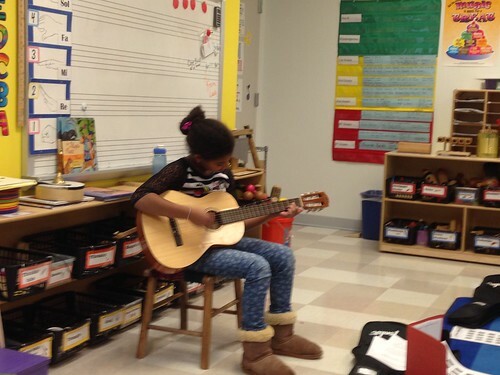 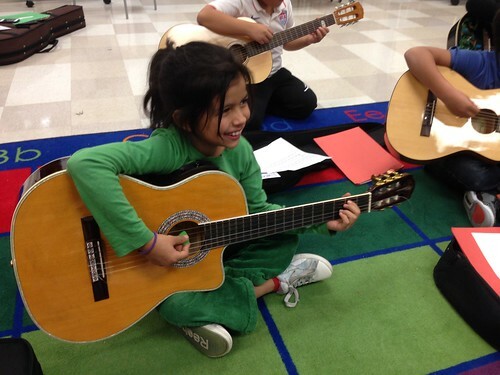 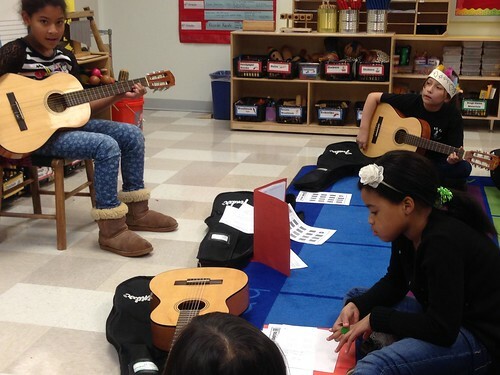 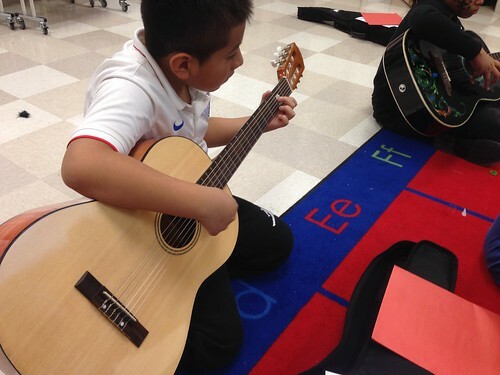 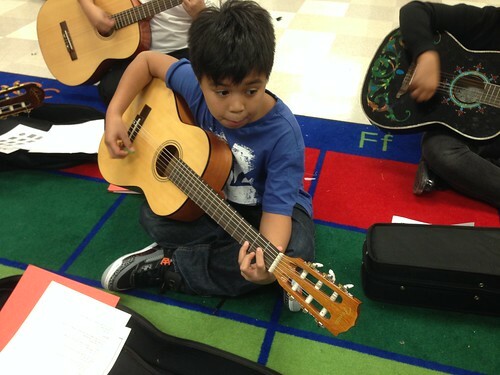 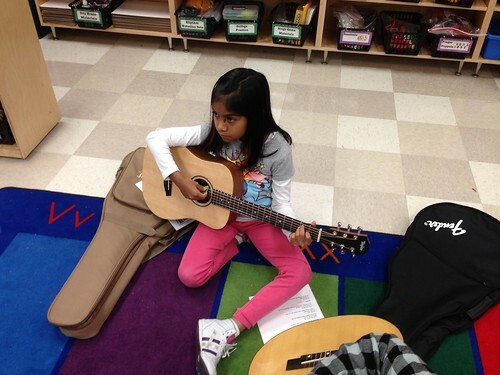 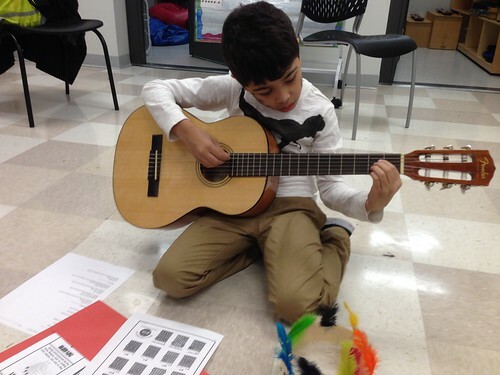 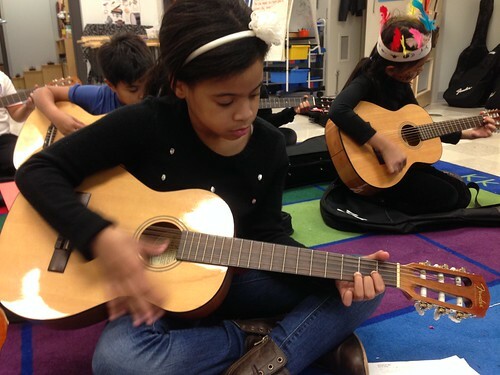 Students in Beginning Guitar will learn how to strum and fingerpick 4 chords, write a class songs, tune their instruments against the piano, sing and play, and have a blast learning to play their favorite rock and roll songs!